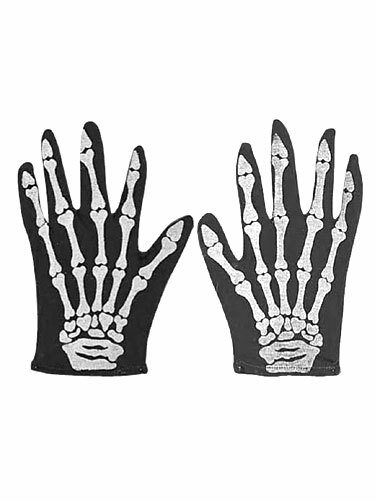 Our Adult Skeleton Gloves will give your hands a boney look and compliment a number of Halloween costumes. Black gloves with a skeleton hand print. 100% Polyester. Hand wash. Adult Skeleton Gloves are one size fits most.